The Indonesian capital of Jakarta is an enormous and sprawling city, and while this is by no means known for being a tourist destination, there are some interesting sights awaiting within the Old City (Kota) area. Those wanting to experience the extremes of Indonesia will find that Jakarta will far from disappoint. Jakarta is a city with many definite surprises, with the lively streets of Chinatown, literally hundreds of bars and restaurants, and some of the largest nightclubs in the whole of South-East Asia. Also in the city is a wealth of shopping malls, which come in epic proportions and would likely take more than a month to explore. To learn more about the city's latest tourism offerings, do check out the Jakarta Visitor and Tourist Information Office, which stands on the Jalan Wahid Hasyim. 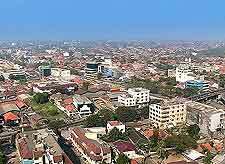 The exciting city of Jakarta is very much centred around the historical area known as Batavia and features an unusual Dutch past. 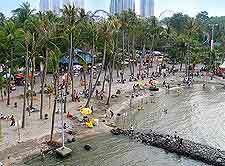 However, the tourist attractions of today are not all particularly old, with the Ancol Dreamland amusement park being one of the most visited and family friendly and actually built on land reclaimed from the bay itself in the mid-1990s. Other highlights include stargazing at the Jakarta Planetarium, Sumatran tigers at Ragunan Zoo, and a chance to explore all of the 27 actual provinces of Indonesia in just one place - at the Taman Mini Indonesia Indah. 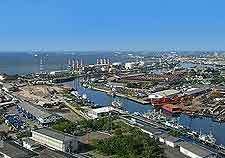 More information about Jakarta Tourist Attractions. For more of a taste of local history, there are a number of beautiful mosques and religious buildings spread around Jakarta, such as the simply spectacular Istiqlal Mosque, which is actually South-East Asia's biggest. The Buddhist temple named the Vihara Dharma Bhakti is another impressive sight and dates from the middle of the 17th century, while other sights worth checking out include Jakarta's famed National Monument (Monas) and also its characterful district of Kota, where cobbled streets and the dining opportunities around the Taman Fatahillah plaza await visitors. 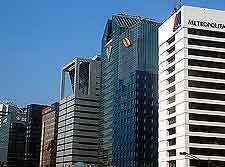 More information about Jakarta Landmarks and Monuments. 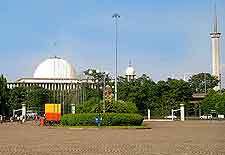 Imparting all kinds of information about Indonesia's past and culture, the museums of Jakarta serve to both educate tourists and provide an enjoyable experience. The Jakarta History Museum is amongst the most popular and features an array of important local artefacts, as does the National History Museum, where diorama's showcase the region's rich flora and fauna offerings. For Indonesian art at its best, the city's very own Fine Arts Museum (Balai Seni Rupa) is the place to be, although the contemporary style paintings at the Bentara Budaya may also be of interest. More information about Jakarta Museums and Jakarta Art Galleries. Just a relatively short day trip from Jakarta are a world of further attractions, with the sunny beaches of Anyer proving to be quite a draw card. The city of Bandung serves as another popular excursion and is actually the capital of West Java, being known for its volcanoes, hot springs and tea plantations. Also close to Jakarta is Bogor city - where the Istana Bogor (Presidential Palace) is located, Puncak - home to a selection of mountain resorts and the Taman Safari Indonesia, and the Ujung Kulon National Park - enjoying a lush rainforest setting and now ranking a World Heritage Site. 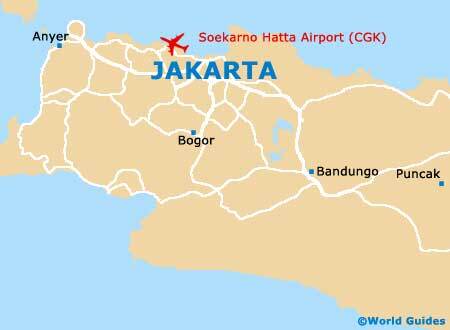 More information about Jakarta Attractions Nearby.